Former contributor Adam Tavel recently published a collection of poetry, “The Fawn Abyss,” published by Salmon Poetry. 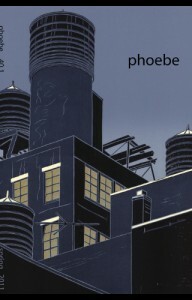 His poem, “In Your Hunger Dream” appeared in phoebe 40.1, 2011 and is included in the collection. Buy his book here. Connect with Adam on his website.